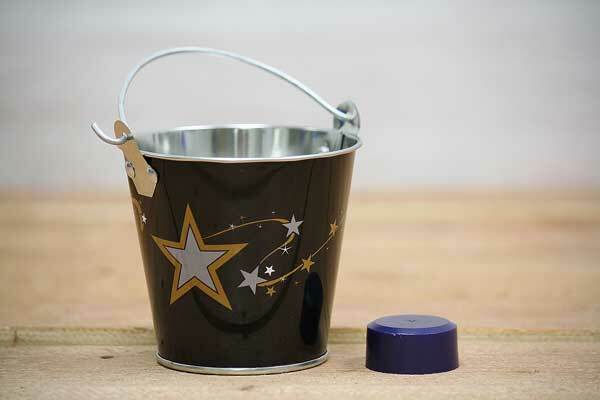 These pails make wonderful party favors for a budding astronomer or aspiring movie star. They can also be used at your next summertime gathering. Fill them with star-shaped candies, astronomy-themed toys, or summery gifts for your guests. We also offer small buckets decorated with camouflage and mini tie dye buckets. Note: These buckets are not guaranteed to be watertight.